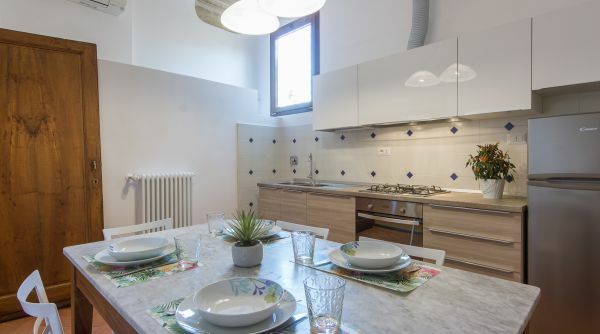 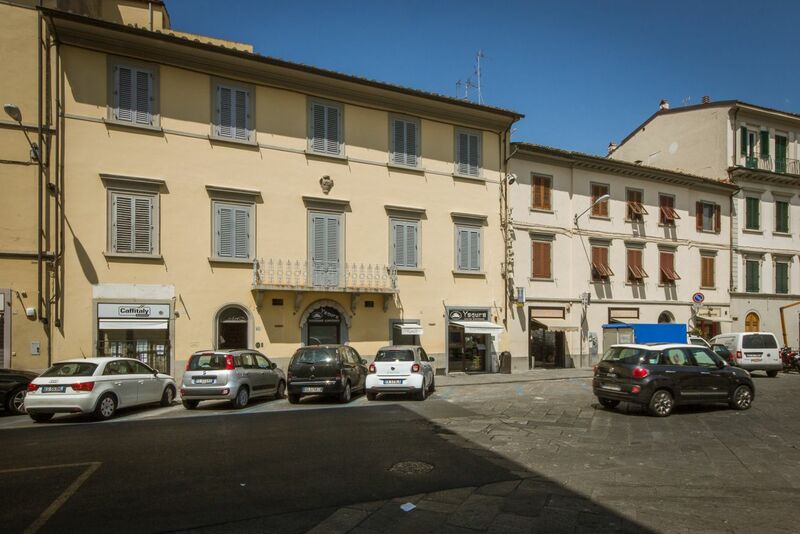 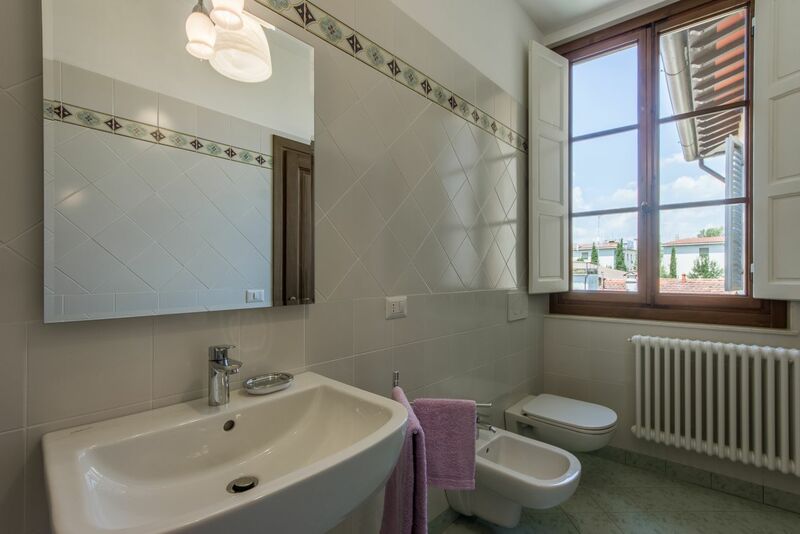 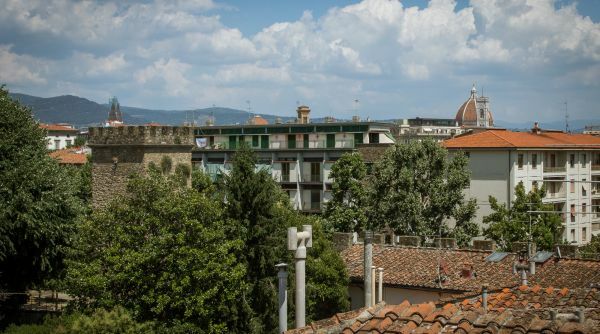 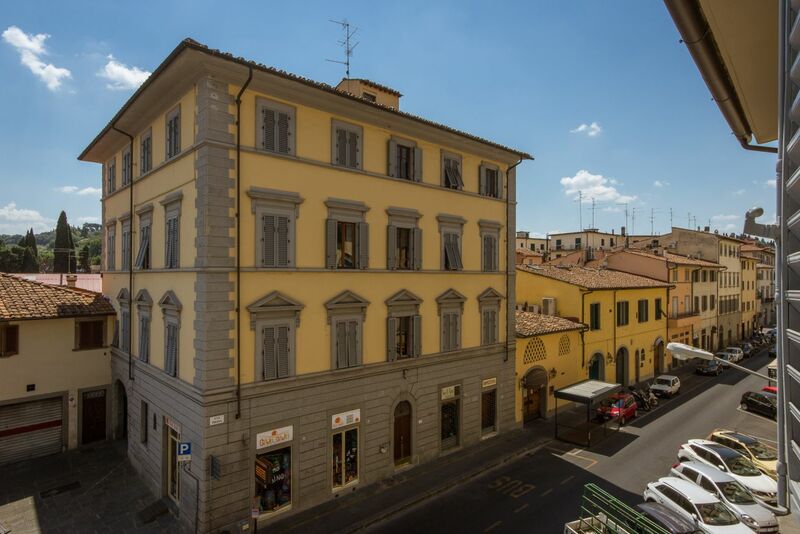 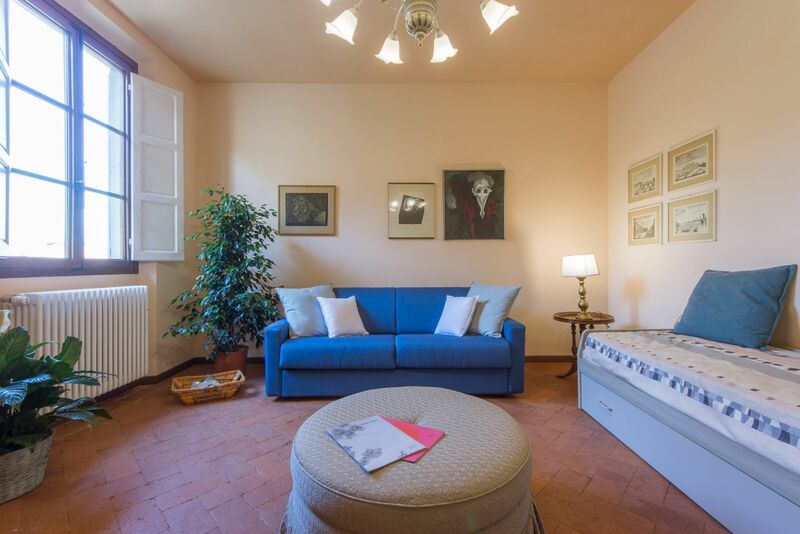 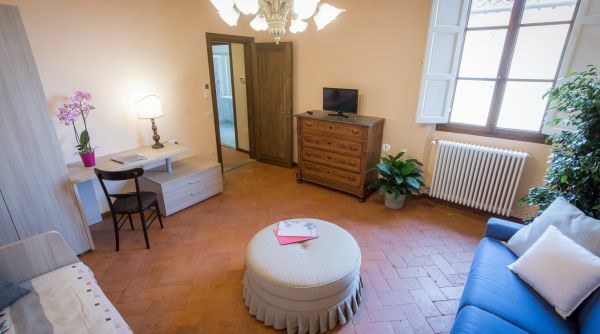 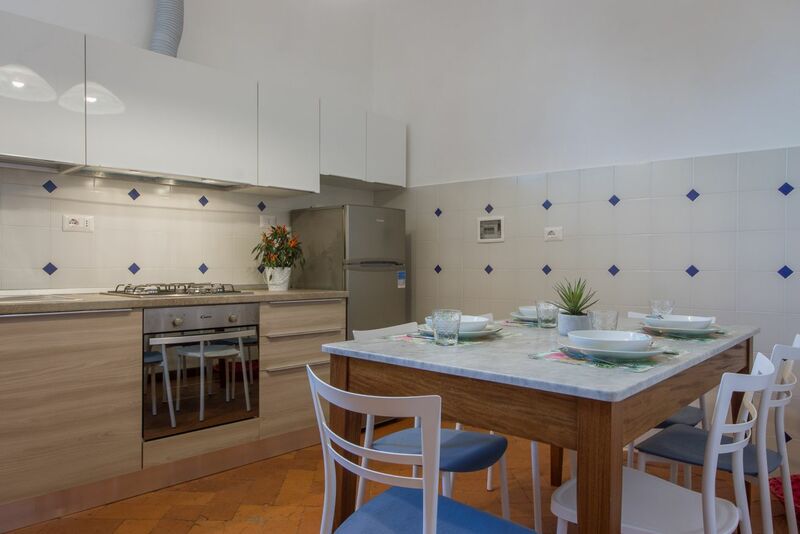 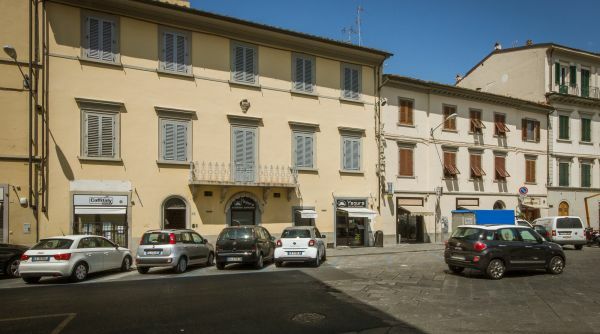 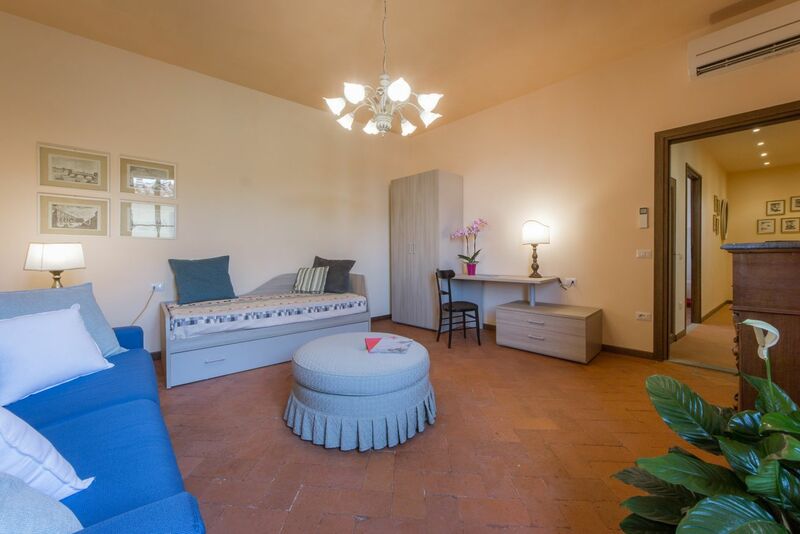 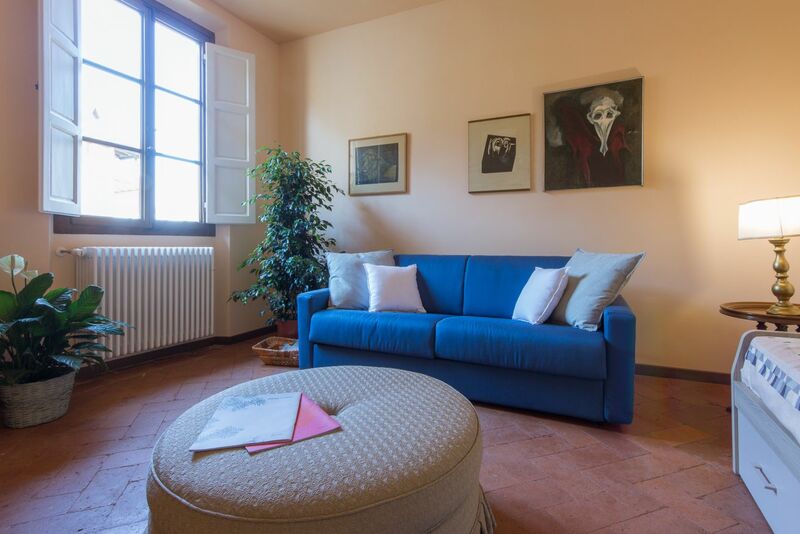 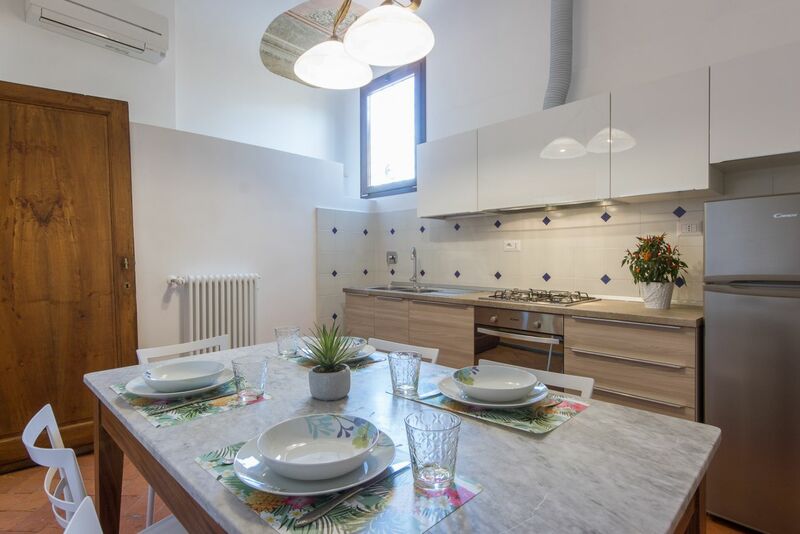 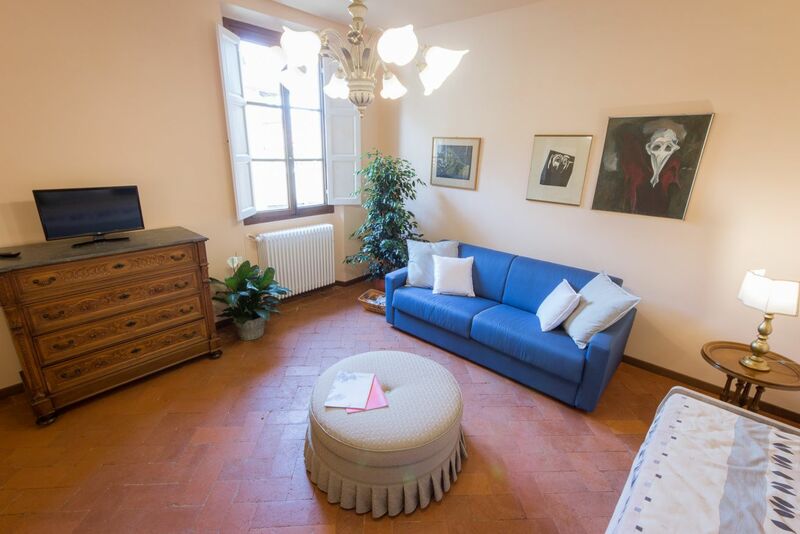 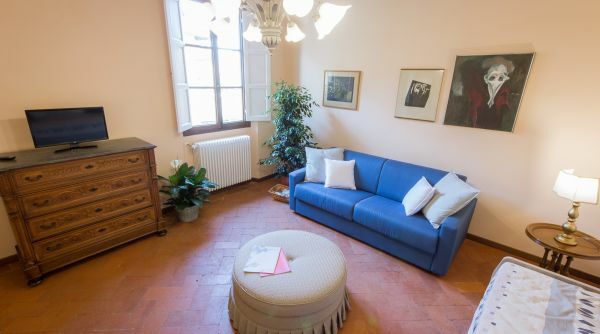 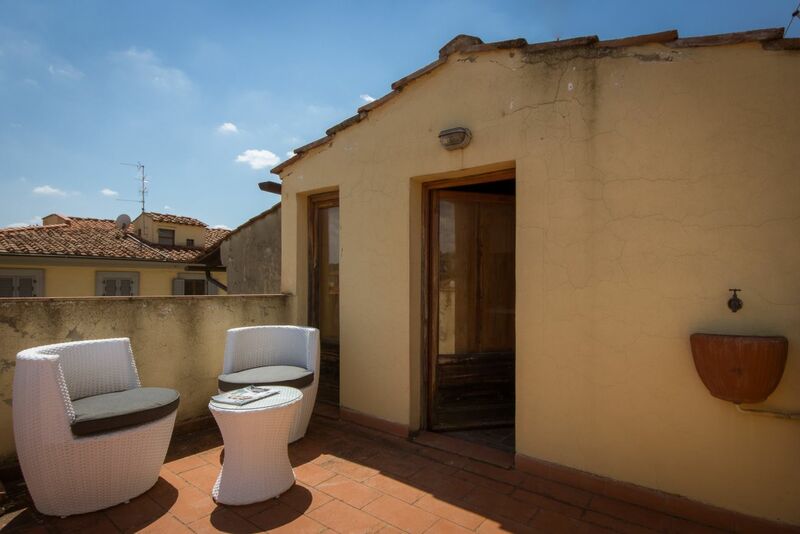 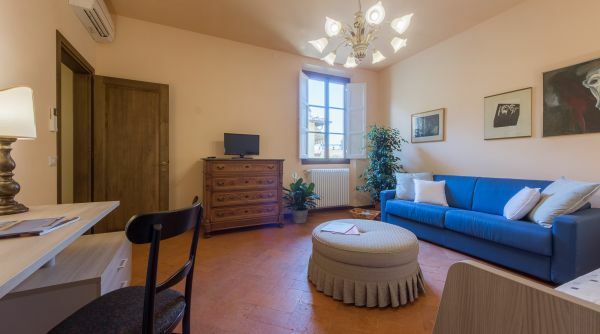 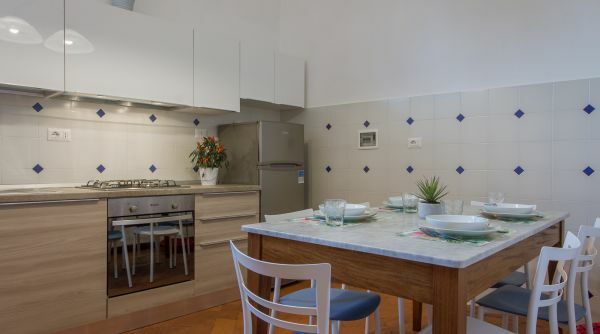 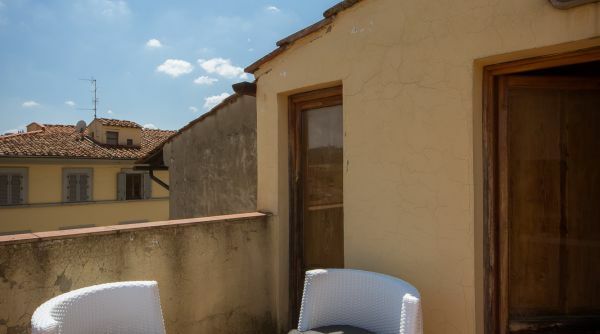 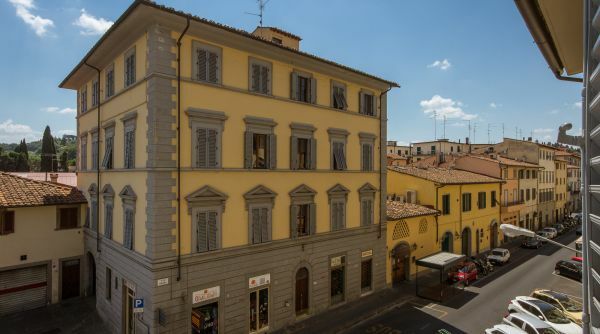 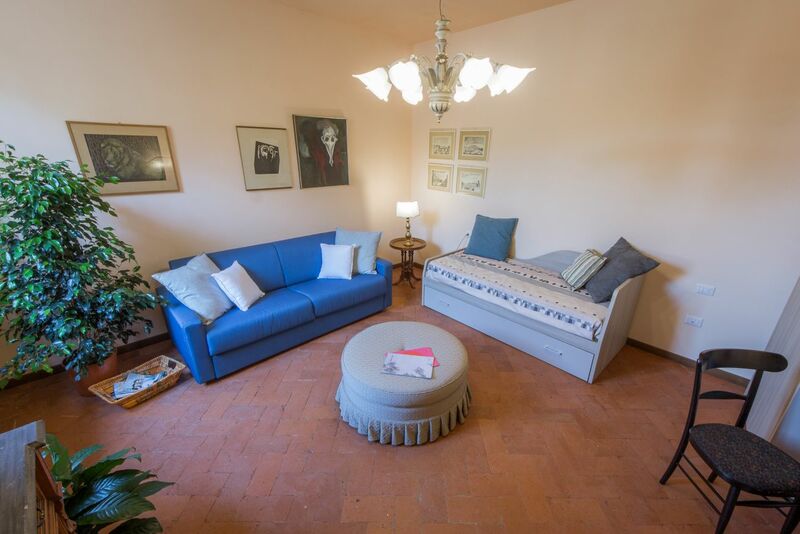 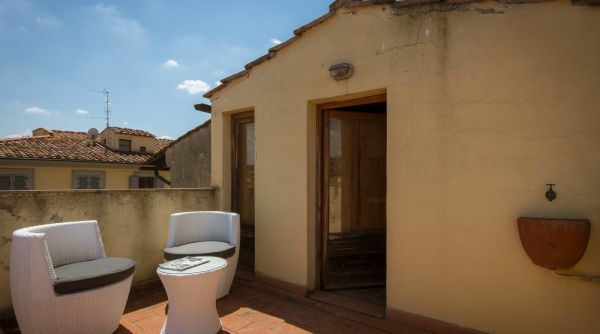 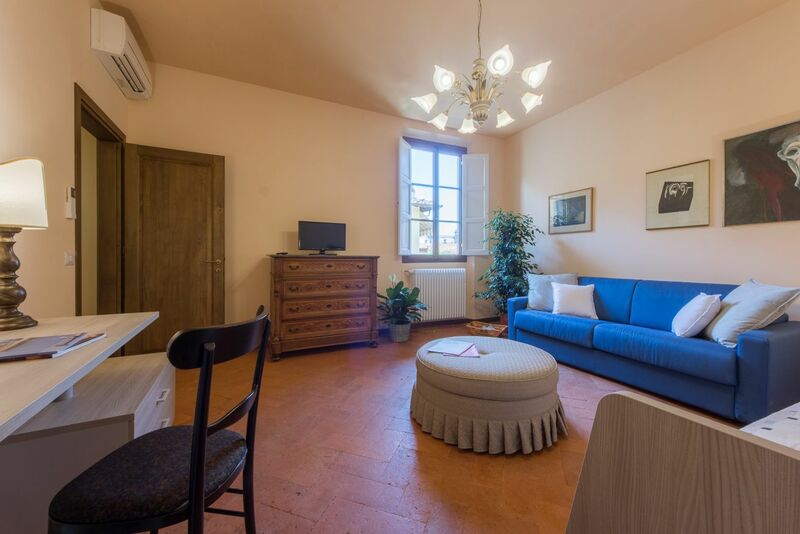 This apartment is located in one of Florence’s most loved neighborhoods – right outside the Porta San Frediano. 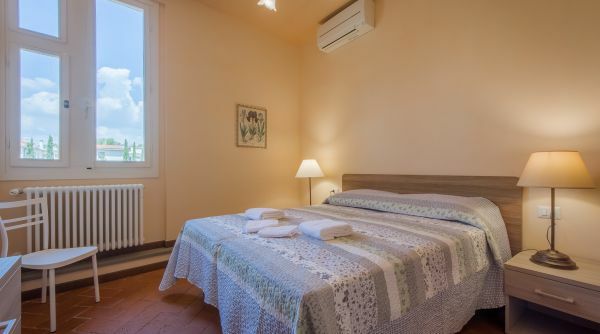 It’s a peaceful residential neighborhood, ideal for long term stays due to the many local restaurants, shops and services nearby, but also just minutes walking from the very heart of the city. 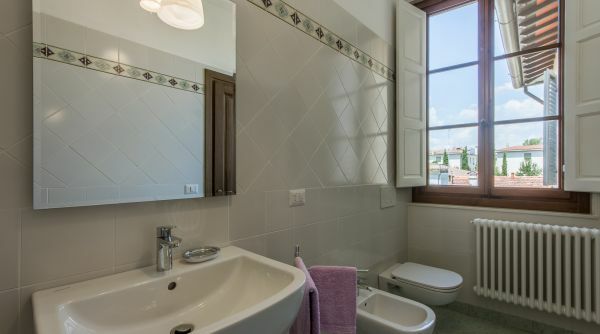 The property is on a 2nd floor with very manageable stairs. 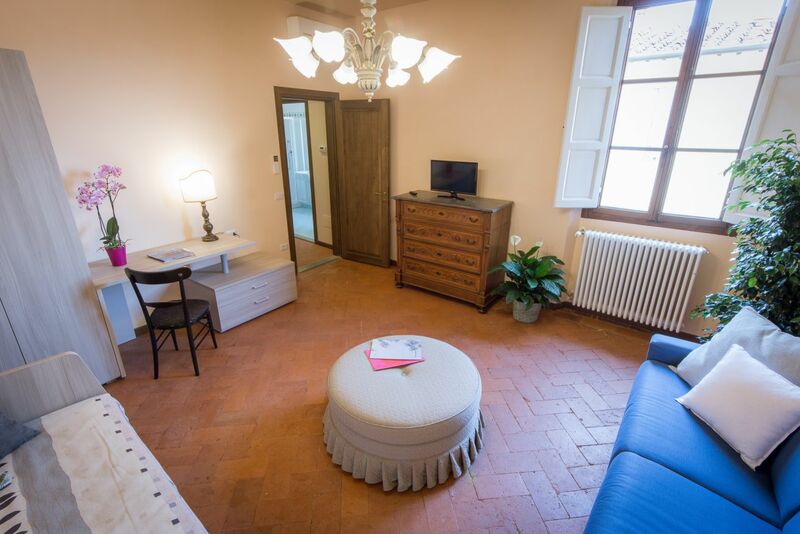 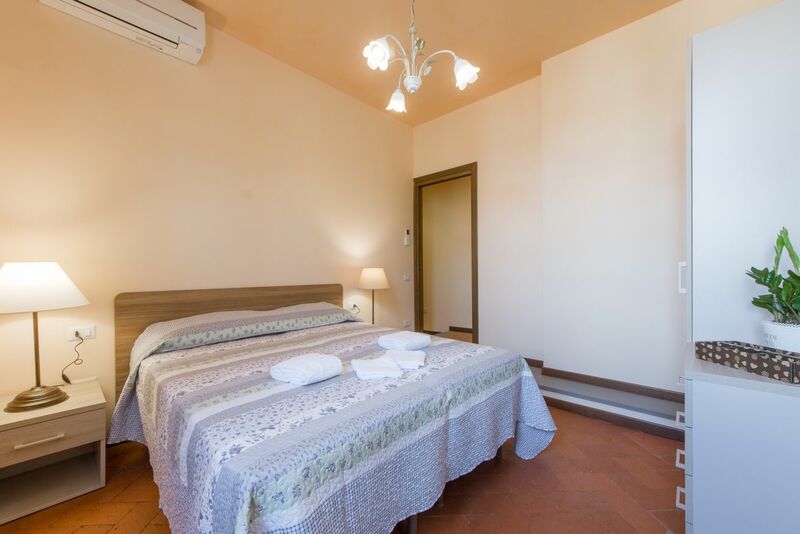 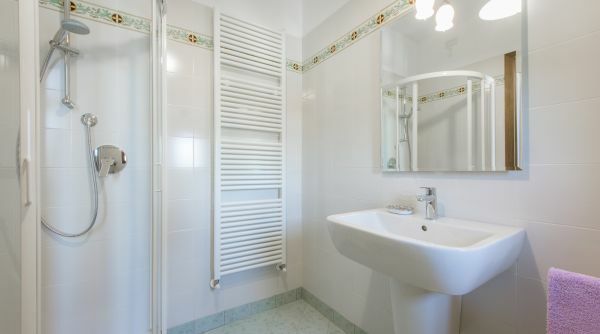 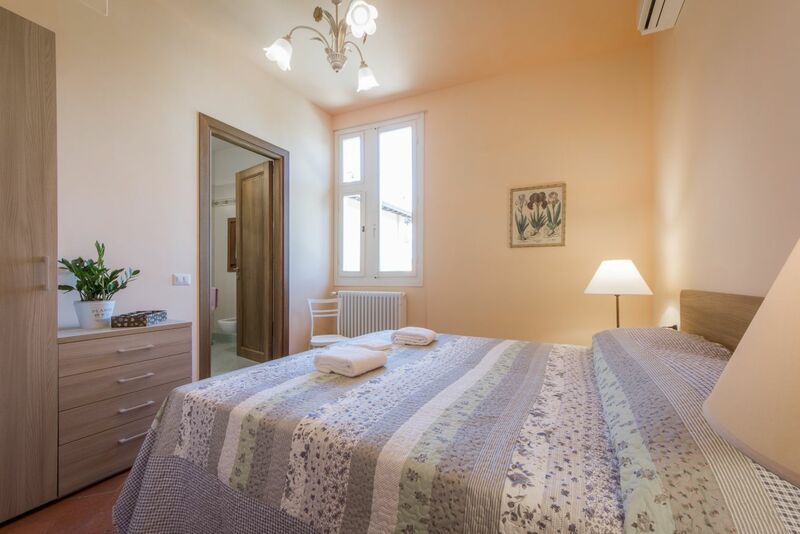 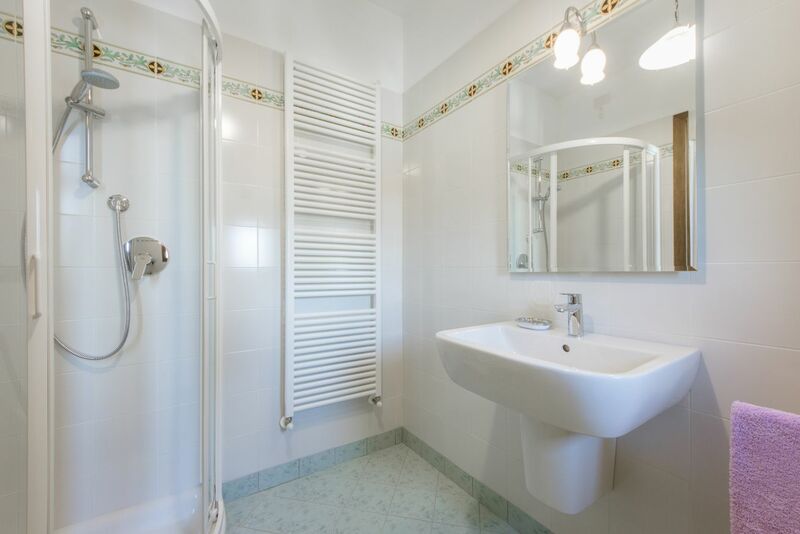 The entire apartment has been recently renovated in a modern and comfortable style. 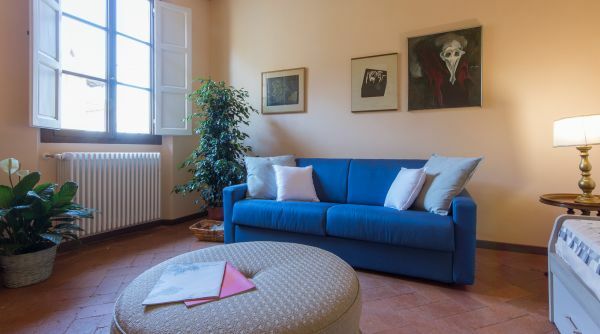 The tonality of the colors and style of furniture contribute to a relaxing and pleasant overall atmosphere. 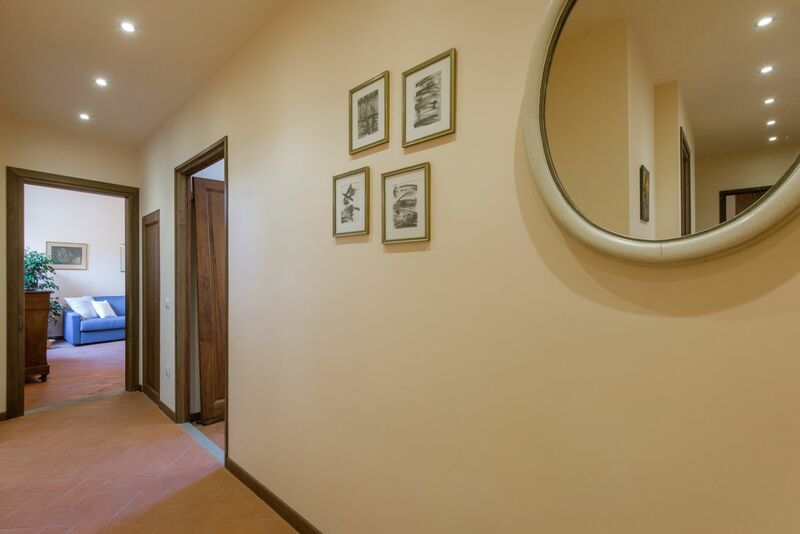 As you walk into the apartment, you first get to the bedroom which is on the left hand side of the corridor. 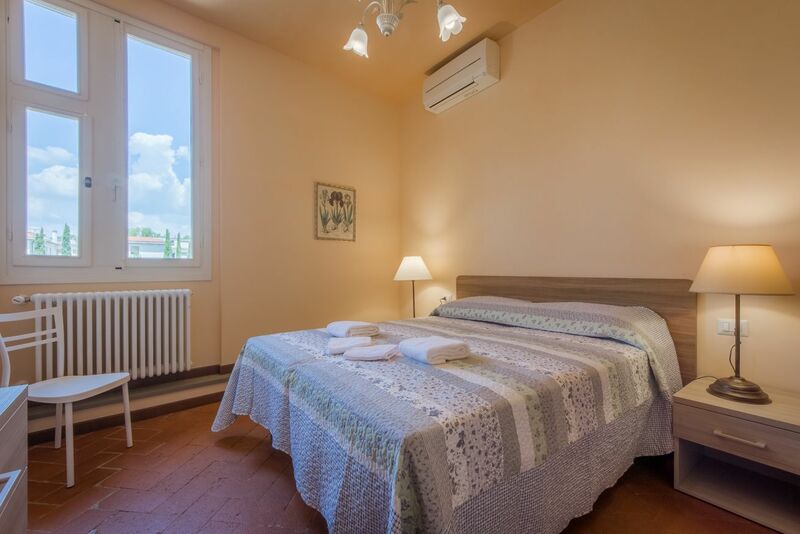 The bedroom is very bright and spacious, with lots of closet space. 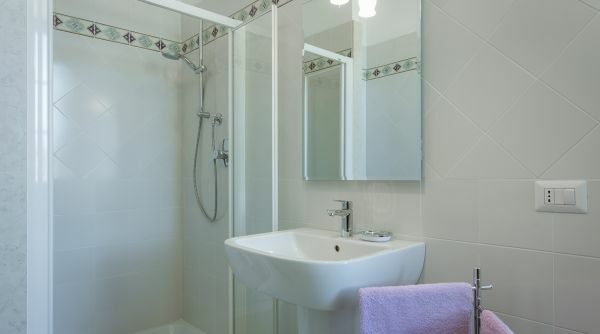 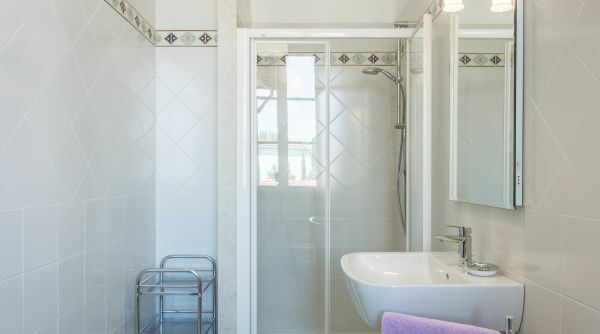 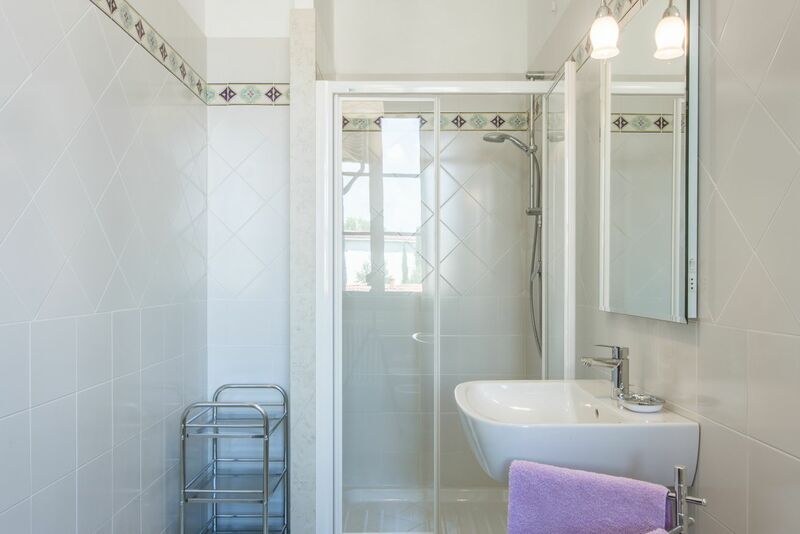 Here you will also find a large and modern en suite bathroom with a fresh, clean look. 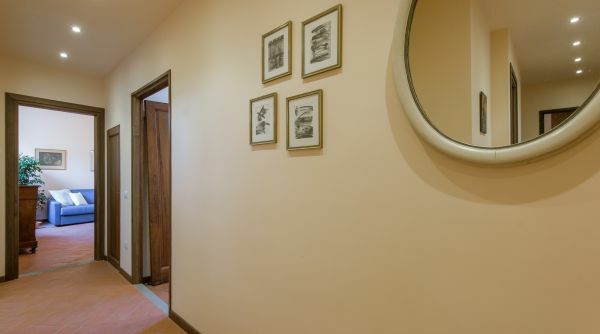 As you continue down the hallway, you will reach the separate kitchen/dining room area. 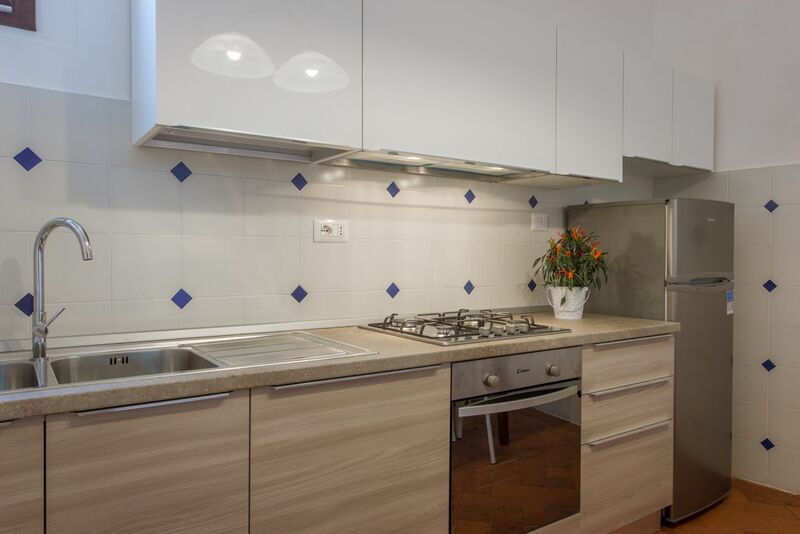 The kitchen is large and fully equipped, with all the comforts of a real home. 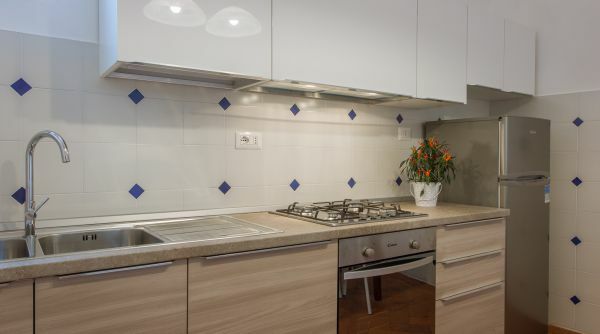 It is ideal for family or friends who love cooking! 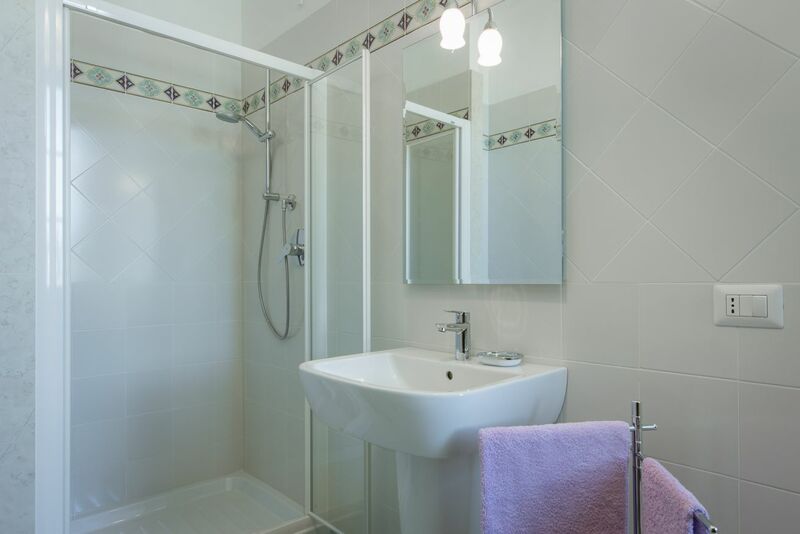 Across the kitchen is the second bathroom, which is again very spacious and modern. 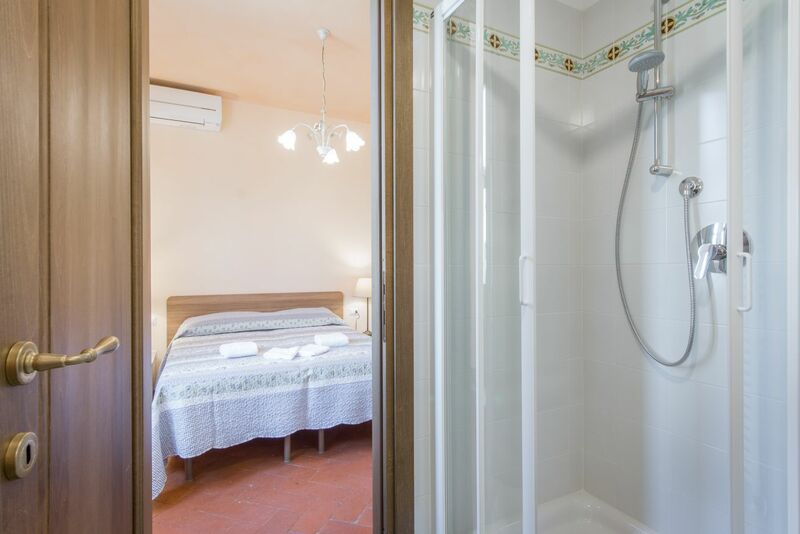 Next door, there is a storage/laundry room where you can find the washing machine, cleaning units etc. 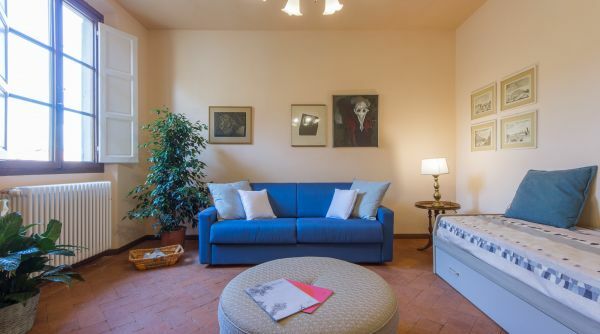 The living room is spacious and very bright. 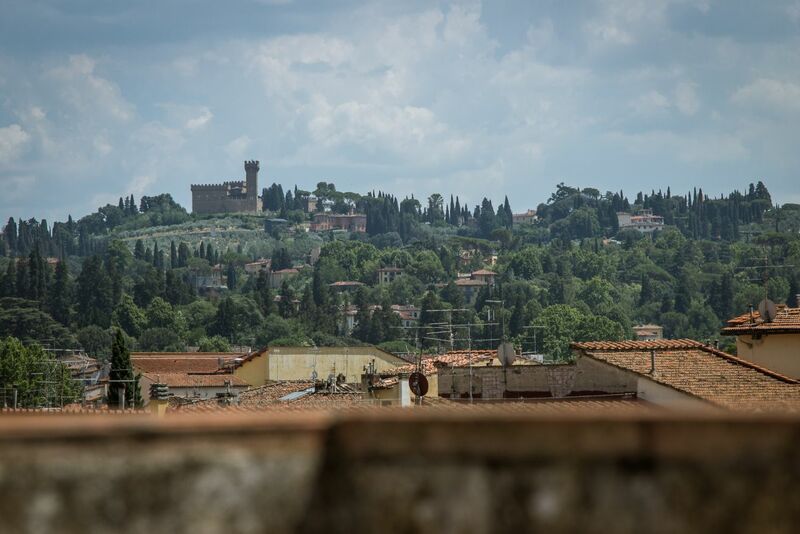 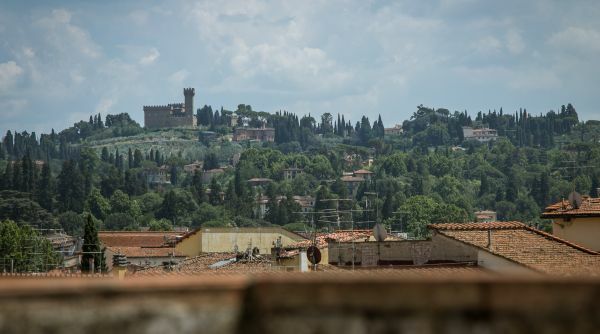 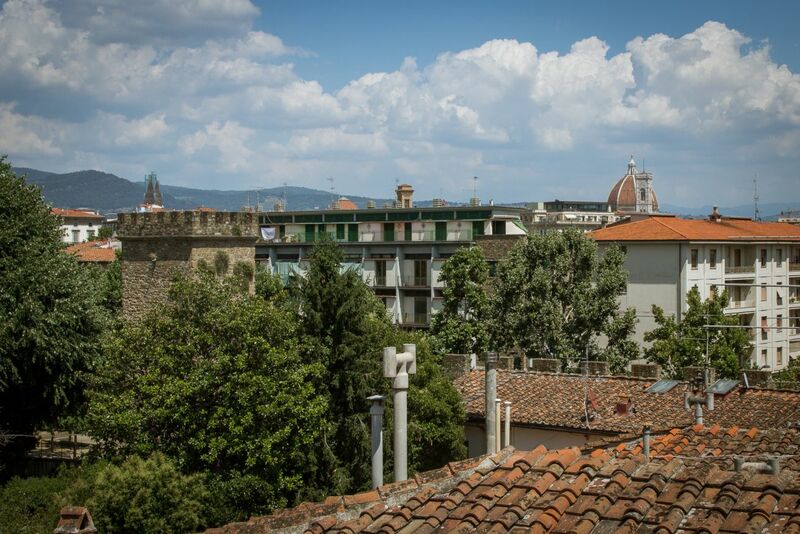 Opening the windows, you can enjoy a typical Florentine rooftop view. 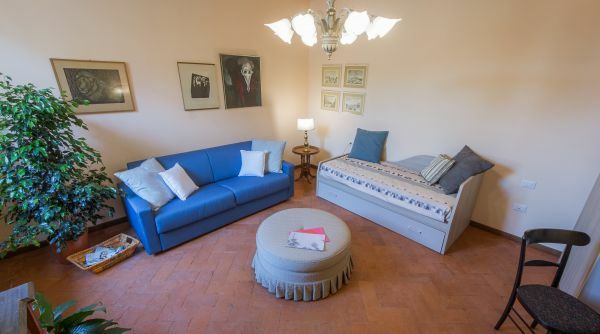 This space has both a double sofa bed and a trundle bed, which allows the apartment to host up to 6 people comfortably. 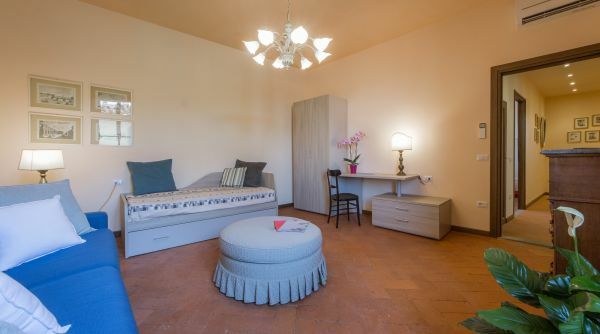 There is a TV, as well as a study/work space with a desk. 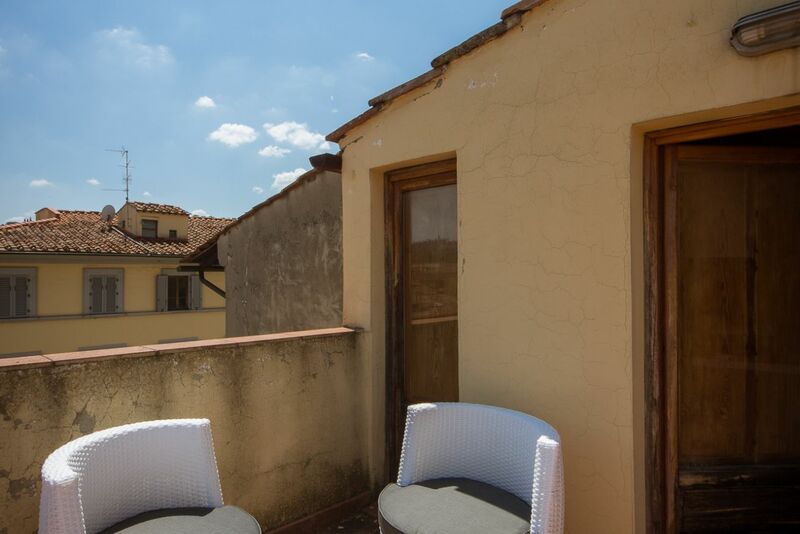 There is a terrace which is shared with the apartment next door. 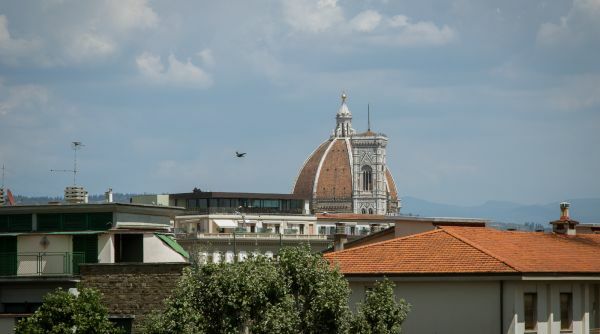 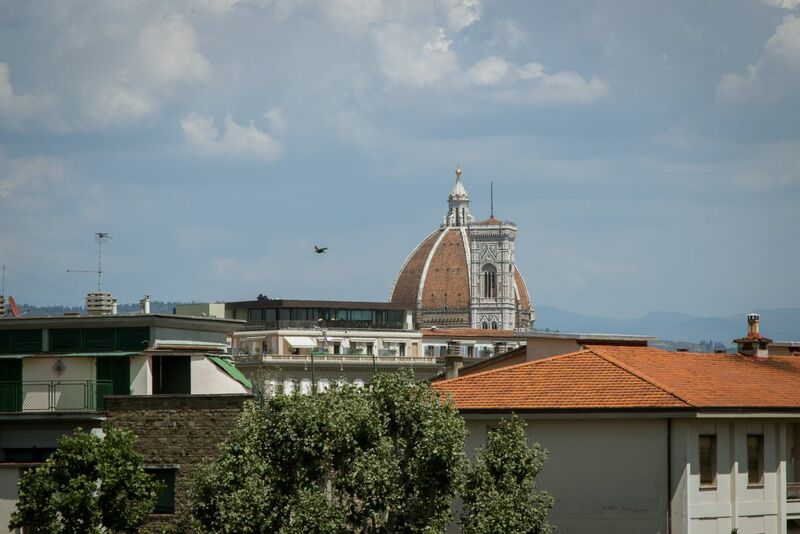 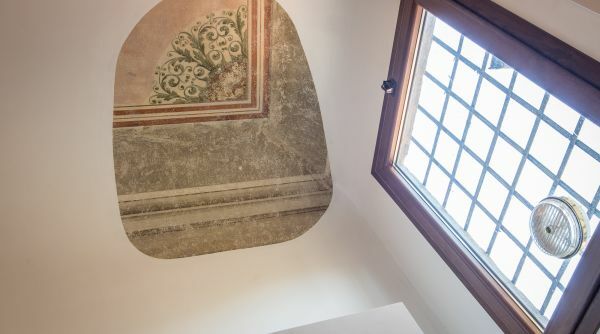 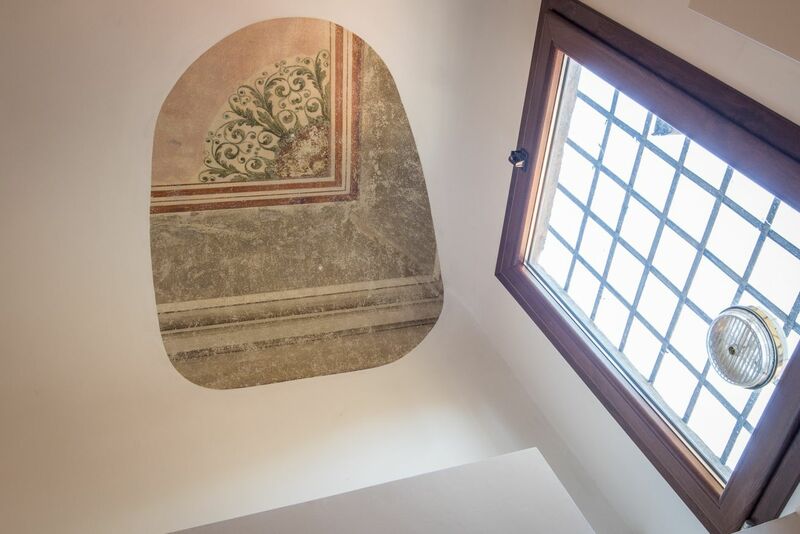 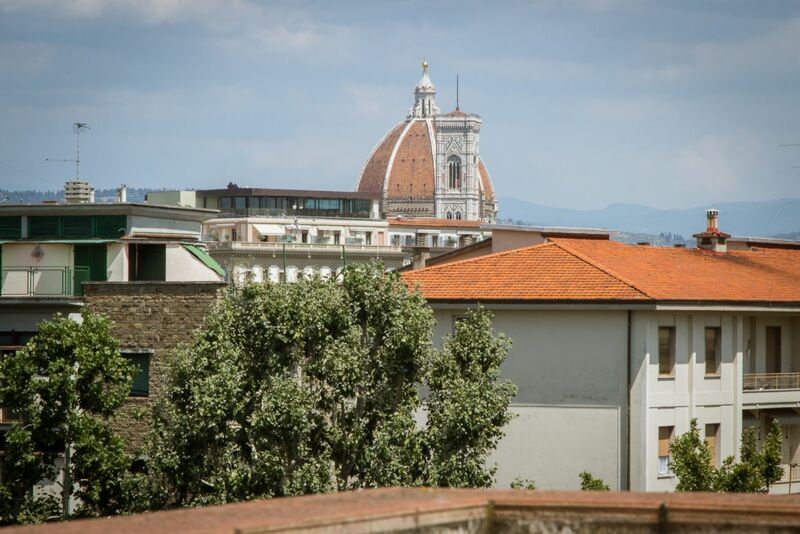 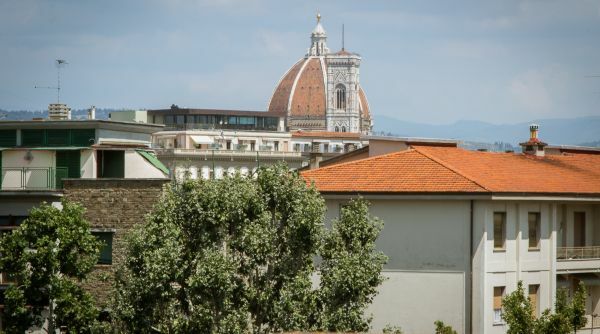 It is up another flight of stairs and features a beautiful view of Florence – you can even see the Duomo from here!